This range of sockets are from the Britool range and are manufactured from the highest quality Chrome Molybdenum Alloy for increased strength. This type of socket is typically used with a high power pneumatic tool such as an impact wrench. Each socket has a ball retaining groove in each face of the sq. drive. This ensures a positive fit with all 1/2 inch accessories. It also features a hole suitable for attaching a pin and ring to secure the socket to impact wrenches for added safety. 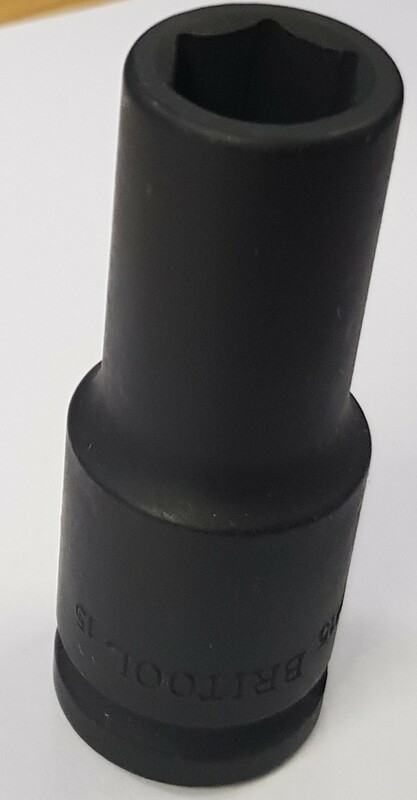 All sockets have Hexagon (6 point) Stress Relief Drive to allow higher torque loads to be applied and reduce fastener damage.